johnsonlai.com | Football (soccer) is my life, the rest are just details! Yes, I’m still using XP and fully aware they will end support in April 2014. Still doesn’t mean my current computer isn’t usable and have no intention of changing soon. Main reason, alot of old programs which i developed or currently owned licensed doesn’t work with a new PC. Personally, i’ll probably upgrade from XP to Windows 8.1, with a tablet as well. Anyway, I encountered an issue today which i like to share, which is installing Arabic for an illustrator work. Since my XP system have no support (i.e fonts) for Arabic, i found the below website via google of course provided the best solution. Now i can write or paste Arabic text into my illustrator project. So i was curious and did some calculation myself to see how long will a spacecraft take to reach there. In conclusion, we’ll probably never reach that planet using current technology but if we are able to improve the existing technology by 1000 folds, human could certainly reached that planet within 60 years or so. What a time to update my blog after the amazing EPL finale match between Man City and QPR. The match this morning was possibly and certainly will listed as one of the most dramatic moment in my recent football memories, the high is as good as anything you’ll get. Man City was still 2-1 down in normal time and 5 minutes added injury time and Aguero scored the winning goals after leveling from a corner a minute or two before. The spirit was amazing, i may even have shredded some tears. The most personal satisfaction is stopping Man Utd winning the title for the 20th time. Well done City, what a memorable moments. Football wise, it was average, but who the hell cares!! That’s what football is about! It’s more than the scores! One of my all time favourite national team Argentina had crashed out of the Copa America 2011 quarter final match against their arch rival Uruguay this morning (10am AEST) . The match was shown live in SBS (Australia). They lost on penalties 5-4 after the game was drawn with 1-1 extra time. The player missed the penalty is another one of my favourite player Carlos Tevez (also known as Carlitos). Yes i do have a lot of favourite player in the Argentina team i.e. Riquelme, Messi etc etc. Argentina have a dominating first half when Diego Perez (also the first goal scorer of the match) was sent off. Messi also defied its critics by providing a beautifully ball through air to allowed unmarked Higuain for a direct header and equalized. However the second half, Argentina sit back (surprisingly) and didn’t pressed, but they have several chances which could have sealed the match. Unfortunately their lack of clinical finish jinx was carried and continue throughout the tournament. Finally, Mascherano was given his matching order for his second yellow card, which i felt was a bit harsh considering the amount of serious physical challenges lunges on Messi by the Uruguayan players and defenders. The game then changed its intensity, however it remained scoreless. Uruguay fight and hang on in extra time, where they also have their own chances to sealed the match. Neither team scored in extra time and enter penalties where both Forlan and Messi were successfully converted for either team. However Carlitos surprisingly missed by poorly struck kick to the keepers right and save proved fatal and the Uruguayan with a small population but massive football history are entering to another semi-final of the Copa America. Adios Abiceleste!! I’ll cry for you!! With all the media hypes and the mutual respect from both Alex Ferguson and Pep Guardiola prior to the final. The 2011 champions league final certainly did fulfilled its high expectation. So waking up from a cold Sunday morning here in Australia is worth every second of it. The first 7-8th minute shows why Man Utd deserves to be in the final by holding and keep possessing of the ball. In fact during that period, Barcelona had problem of getting out of their own half. However it is impossible to be able to dominate a team such as Barcelona. So as soon as Barca player had settled, they dominated the play once again and Man Utd were never really back into it. What makes a great final is the attitude of both teams. After Pedro open the scored around the 30th minute in the first half, by slotting into the goal after he received from a brilliant low diagonal through ball from Xavi. Rooney then make a come back goal from 15 yards after he left unmarked from a counter play from the left. Personally, i felt Man Utd couldn’t have comeback from the first goal because of the way Barca had dominated other teams throughout the season. But it just shows the mentality of this Man Utd side, which they put up a great fight. At the end, good football wins the day. With the Messi scoring a brilliant goal from 20 yards low shot around the 50th minutes mark. Final goal comes from David Villa in the 75th minute, who had a quiet game. The game pretty much sealed then, because not only Barcelona continue to hold possession, they started toying with United defense, and had more than 17 shot on goals. Barcelona is a deserved winner at 3-1, but Man Utd should also be congratulated for putting up a great fight, unlike the way Mourinho setup his Real Madrid team. They shouldn’t have any regrets in this match because they are playing arguing the best team in the world at the moment. Now hopefully Barca players will take a good long holiday and comeback to play their beautiful football next year. I really look forward to see them next year, but i’m sure Liverpool will win everything by then! With the expectation of an exciting match between what possibly considered as two of the best football teams in the world at the moment. I came out with a lot of boredom and salvage with only a classy goal by the current world footballer of the year, Lionel Messi. That’s right, i’m referring to the ‘El Clasico’ champions league match between Barcelona v Real Madrid at the Bernanbau during the 2011 champions league semi-final 1st Leg. If you are a football viewer with an astute tactical appreciation, then this is probably another good, if not great match between these two old foes, where the history of their rivalries on the field are comparable to the age of China (exaggeration!). But if you are a football purist such as myself, who likes to see both side playing openingly with 90 minutes non-stopping action, then this match should certainly be call “El Sleepico” after waking up 4.30am in the morning with high expectation. After Real Madrid winning the Copa del Rey on the weekend since they last won in 1993, you would expected them to try and dominate and dictate the play against Barca at home, because during the first half of the Copa del Rey. Real did manage to control and dominating the match or accurate i should said a possession of 50-50. However, for this match, ‘the Special One’ had setup his players compactly, statically and defensively to prevent Barca playing their fluent football in the first half. But Jose, you know you can’t create clear-cut chances if you don’t keep the ball or play the ball in the opponents half. Instead the tactics of the first half was cynical and at times anti-football. Note Real is playing at home with some of the best players in the world, i.e. C. Ronaldo etc. I have high respect for Mourinho winning mentality, but playing some of the best players in the world at his disposal with this type of tactical formation had added frustration in my emotions. Along with the constant overly use physical contacts and challenges at the Barca players. Not that i support the constant falling and diving and simulation by the Barca players. But the Real players are drawing fouls onto the Barca players. Clearly the forgettable first half ended in scoreless with limited goal scoring opportunity from both sides, and to add matter worst. The Barca goalie was red carded and sent off for an argument with the Real players and management. The changes of the game was when Brazilian Pepe launched a bad timed tackle at Dani Alves, the whole Barca team then pressuring the ref for an advantageous decisions. Which they had received. Pepe was sent off for a direct red card. IMO, it was a harsh decisions, because it didn’t look intentional but the Real player had always invited themselves to earn a sent off from the start with their physical challenges. Now, an extra man had allowed the freedom for Barca to create clear and direct chances from their well know fluent ball passing and player movement game. Several chances had create for both Villa and Pedro. The fatigue Pedro was eventually replaced with Ibrahim Affelay. The first goal finally came from a nice cross by Xavi to the right and picking up Affelay, and burst past a defender to provide a low cross into the six yards box and picked up by Messi who hit it through Castillas leg. This first goal was important, because it open up the Real defense further with a brilliant second goal to savage the reputation of the El Clasico! IMO, Barca deservedly of winning this match but the tactical intensity of the first 65 minutes of this match is rather the dark side of the beautiful game. Despite the constant fouling, falling, diving, i’m still looking forward to the next game. Mourinho will now have to attack to win next game, and knowing Barca is so strong in front of the 90,000 home crowds in Nou Camp. It’ll be very very difficult for the special one to achieve the champions league title this year. He really only have himself to blame instead of the conspiracy that he is suggesting. Brought a printer HP 1032n at bargain price (second hand about $200, got it for $60) several months ago but only to find out the fuser is damage and worn out after about 100 pages of printing. So borrowed my friend’s HP 1022n network printer as a temporary replacement until i buy another bargain from online auction. 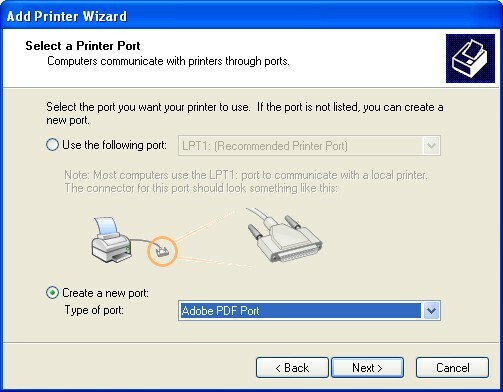 However, the printer setup wasn’t as trivial as the HP 1032n, where the HP 1032n software drivers installation and the network detection of the printer were automated and easily added to the windows XP system. The 1022n XP driver seems to work only for USB connection, the system unable to detected the network port. So with the HP 1022n I have to manual added a new port for it to recognized it. 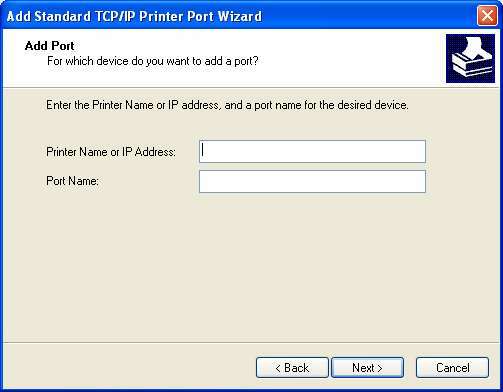 Added the IP address allocated to the printer. The IP address can be found by pressing and holding the power on button for more than 5 sec. Print test page. If the pages do print then you know the network setup is correct. Autumn is coming here in Sydney Australia, with an average temperature of 15C early in the morning, it is certainly feeling breezy. Despite the breeziness, there are champions league matches held this morning between Barcelona and Shaktar Donetsk and between Man Utd and Chelsea. How can i not getting up early in the morning and watching Barca played. It was certainly worth it from the wonderful display of football by the Catalonian. It is a joy to watch their cohesive movement and slick passes. Their style of play have created numerous amount of shot on goals. Tactically, they easily draw out the opponents defense and dominating ball possession throughout the match. It is a wonderful display of football where they just kept attack attack and attack intelligently. Credits should also be given to Shaktar Donetsk as they did try to contain Barcas dominating possessions by keeping a compact defense and a quick counter. They also have numerous chances as their forward Luiz Adriano is quick, good technique and good movement. However he was unable to take the chances they created and the problem with playing against teams like Barcelona is that if you don’t take your chance, you will get punished from their dominating play and the large amount of shot on goals. At the end Barca just slaughter Shaktar 5-1. The match is like a stairway to heaven for any football fanatics. I really can’t see how Shaktar is coming back in the 2nd leg. As for the other match, i fell asleep after the first goal. Being a Liverpool fan, i just hope neither Man Utd/Chelsea will reached the final. This boring match ended in 1-0, another Man U lucky win! The Socceroos beat the mighty 3 times world cup winner Germany in a friendly! The score was 2-1. It is the socceroos first victory out of 4 attempts against the mighty Germans. This victory will also erased the humiliating memories in the 4-0 1st round defeat by the Germans in the 2010 world cup group matches in Durban. I am sure if you ask me a question before this game, which is harder going to the moon or Australia beating Germany at their home soil? I would have told you Australia beating Germany! Even though David Carney made up for his silly lapsed in January Asian cup by scoring in the 61th minute at the attention deficient second string Germany defenses. I still felt the German had outclassed in terms of attacking creativeness. Looking at the process of the first German goal you will see what i mean! Maybe next time, if German coach Joachim Low bother to ask Philip Lahm to play in the defense and captaining the side, then Carney wouldn’t be so lucky with the help of a dummy pass from their defender (No 5, Mat Hummels). Anyway, good wins for the Socceroo. Generally a good match and very happy with the result for the underdogs!! Welcome to Web 2.0, Here i come! My name is Johnson Lai, one of the 6,902,887,287 (see ref1) earthling on this planet. Recently purchase the domain johnsonlai.com and plan to have a go at Web 2.0. The idea of blogging had never occurred to me, in honest i think it’s a waste of bloody time to write about random thoughts in my head which i enjoyed more by just thinking about it. Sounds self-fish, but it’s my true personal wording! However, i see the positive in sharing ideas so i thought i too give it a try since I also like to have an opinions on many things. What is this blog going to be about, well have a look at yourself. This is also the first time i played around with wordpress so i hope i can learn to create a nice looking website slowly when time allows. Well i have enough talk, see ya later!